KARACHI: Nandita Das came to Pakistan after a period of nine years. The actress is in Karachi to attend the Pakistan International Film Festival. Speaking to media, Das said that the ban on Pakistan artists in India must be lifted. She added, “There should be no barriers in the way of art”. “I have come to Pakistan for breaking barriers,” he said. 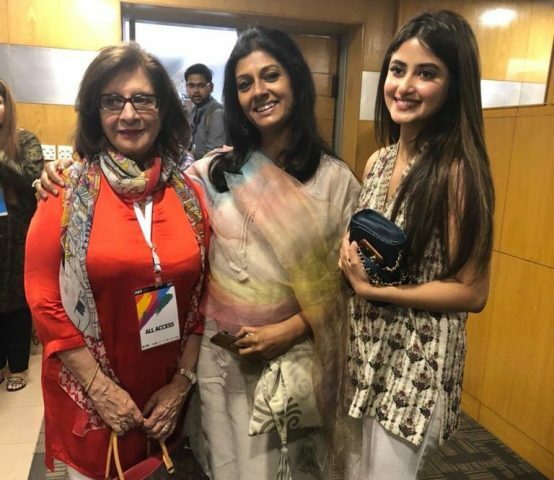 Recalling her memories in Pakistan, the actress said that the last time she attended the film festival was when her film Firaaq was being exhibited. Das added that she is directing a biopic named “Manto” and will try to get the film released in Pakistan and India.